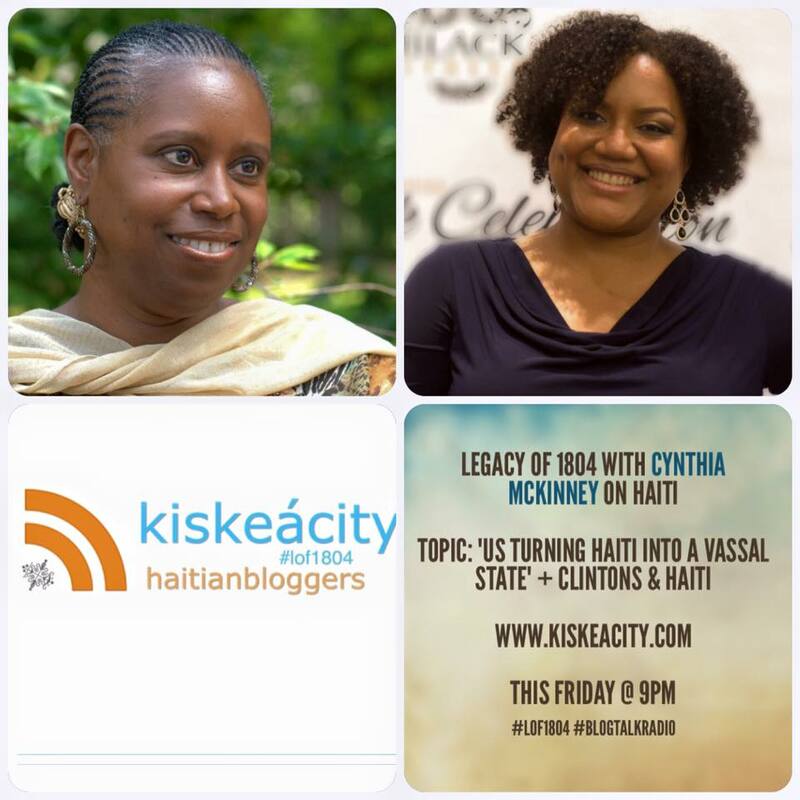 Join me this Friday at 9PM as I welcome Dr. Cynthia McKinney to discuss her article "Democracy Denied: US Turning Haiti into a vassal state." Dr. Cynthia McKinney is a 2008 Green Party presidential candidate, 6-term member of Congress, and former member of the Georgia State Legislature. She was the first Black woman ever elected to U.S. Congress from the state of Georgia. 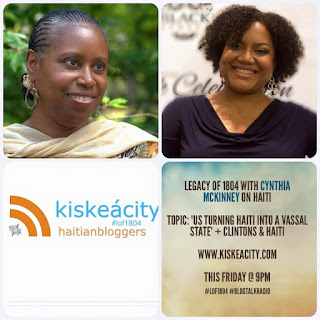 Listen live or archived at http://www.blogtalkradio.com/pancaribbean/2016/02/19/legacy-of-1804-with-dr-cynthia-mckinney-on-haiti-lof1804. Listen live only at (714) 242-6119.